Good news, everyone – a new United Nations report shows that the Earth’s ozone layer has increased for the first time in 35 years. The report credits the recovery in part to the phasing out of chlorofluorocarbons (CFCs) following the Montreal Protocol on Substances that Deplete the Ozone Layer in 1987. Scientists discovered that the ozone layer was thinning above Antarctica in the 1970s, damaging crops and putting people at risk for skin cancer from harmful ultraviolet rays. “It’s a victory for diplomacy and for science and for the fact that we were able to work together,” chemist Mario Molina, who won a Nobel Prize for his research into the ozone layer, told The Washington Post. Just as the fossil fuel industry today calls any action to combat climate change harmful to the economy and job creation, chemical companies objected to regulations banning CFCs in the 1970s. Eventually, DuPont and other chemical companies made safe substitutes for the toxic chemicals used in refrigerators, air conditioners and aerosol cans. However, many of the CFC substitutes are heat-trapping substances that contribute to climate change, so other alternatives will need to be introduced. The UN report concludes that while progress has been made, the ozone layer is still six percent thinner than it was in the 1980s and it will take until 2050 for the ozone layer to return to healthy conditions and until 2075 for the more-damaged Antarctic region to stabilize. “There are positive indications that the ozone layer is on track to recovery towards the middle of the century. 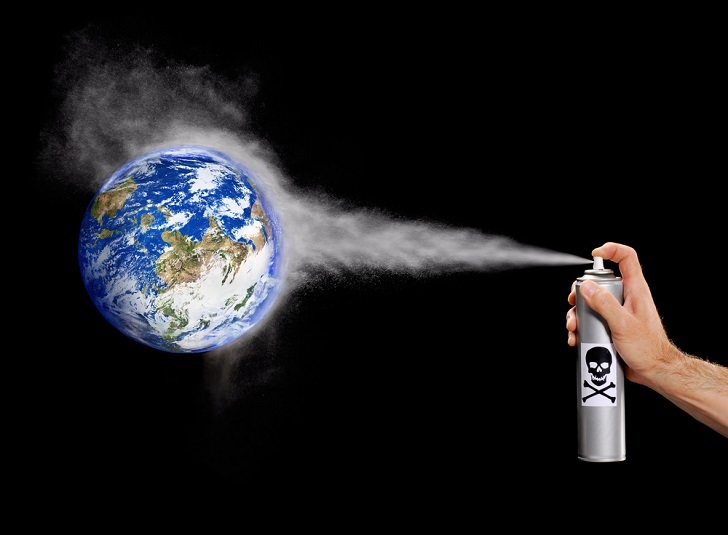 The Montreal Protocol – one of the world’s most successful environmental treaties – has protected the stratospheric ozone layer and avoided enhanced UV radiation reaching the earth’s surface,” said UN Under-Secretary-General and UNEP Executive Director Achim Steiner. The Earth's ozone layer has increased for the first time in 35 years thanks to elimination of CFC chemicals.